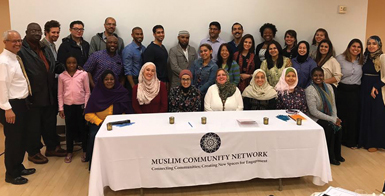 The Muslim Community Network is honored to collect and distribute Zakat compliant donations as per Islamic Law. Zakat is one of the five pillars of Islam, which requires all Muslims who posses a minimal amount of wealth to donate a portion of that wealth to eight categories of recipients. 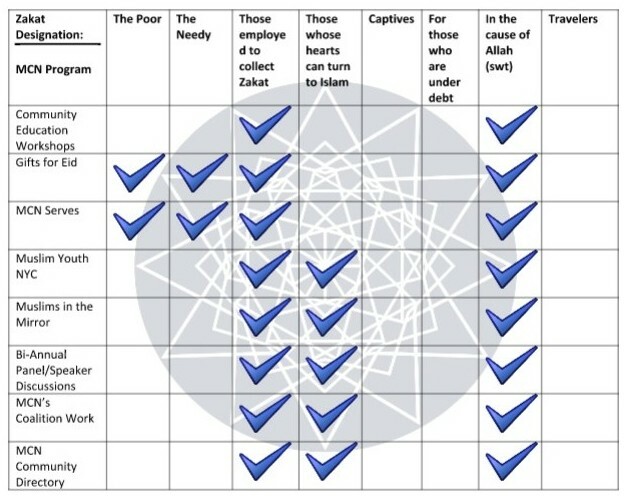 The graphic below shows the ways in which MCN programs serve the designated recipients of Zakat, as certified by Imam Khalil Abdur-Rashid.